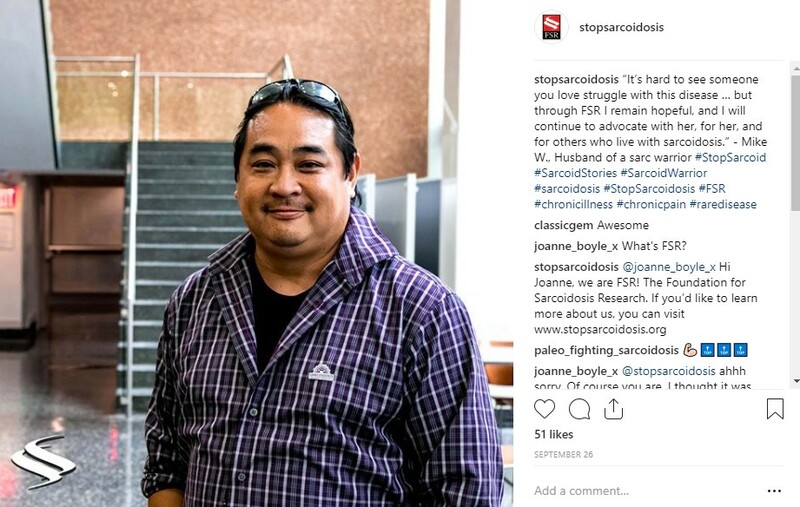 FSR recently started our Instagram account @StopSarcoidosis and we are looking for submissions! 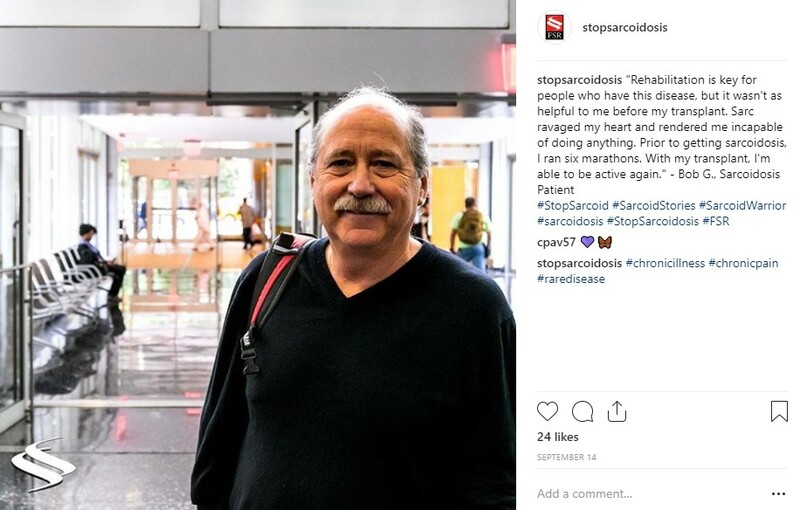 If you are a sarc warrior, a loved one, a doctor or have any other relationship to sarcoidosis we want to hear from you. 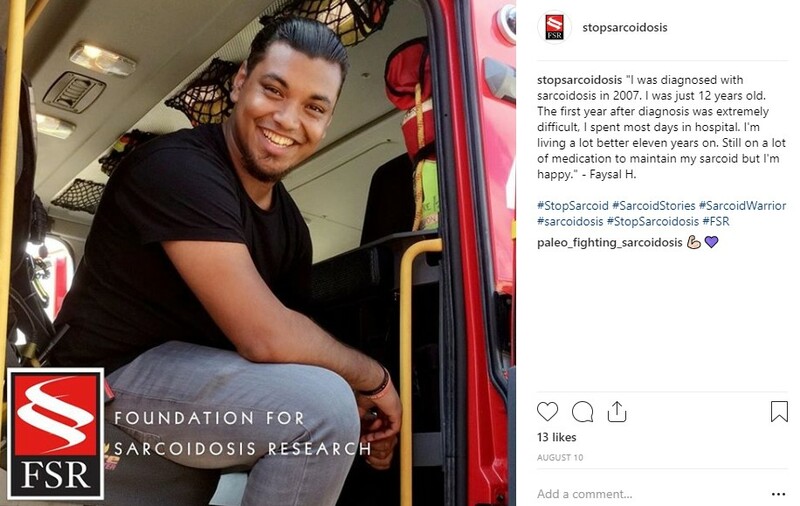 All we need is a high resolution picture of yourself (no selfies please) and a quote about your experience with sarcoidosis. Check out the examples below for inspiration and be sure to follow us! Please make the photo is high resolution (not a selfie), someone else will probably need to take it for you. This is to keep the photos consistent across the platform. Thank you for volunteering your photograph to the Foundation for Sarcoidosis Research (FSR). By allowing us to take your picture/submitting your picture and clicking 'yes' below you are providing permission to FSR to use your image without compensation on FSR's social media pages, and in other future promotional campaigns. Please share a quote about your experience with sarcoidosis, how it has impacted your life, or a personal motto that keeps you moving forward during your rough days. By including a quote about your experience, you are helping to educate others on this rare disease. Please check below to authorize use of your quote and your name in the format of "First Name, Last Initial." For example: "John S."Also, if applicable, would you like us to tag your Instagram handle in your post? Note, your quote may be shortened or reworded for clarity. Yes, I would like my Instagram handle tagged in the post. Would you be interested in writing a longer piece about your experience with sarcoidosis for our blog? Please note, there is no guarantee that all photos will be used on our instagram but we thank you for your submission!